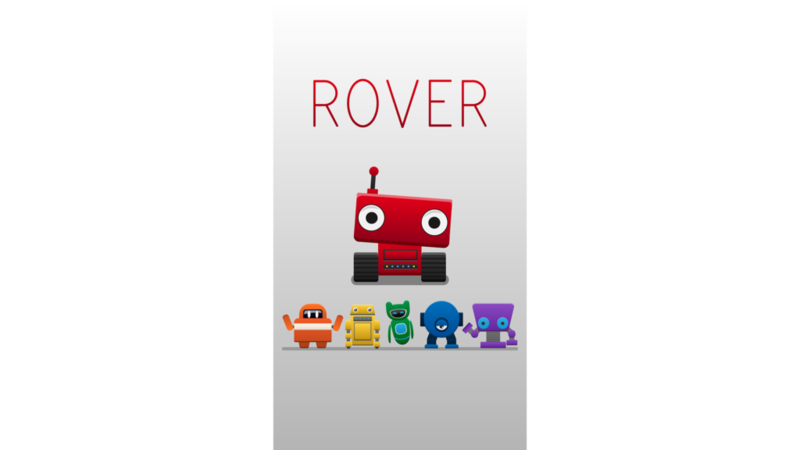 Take control of Rover and his friends as they embark on a mission through space! 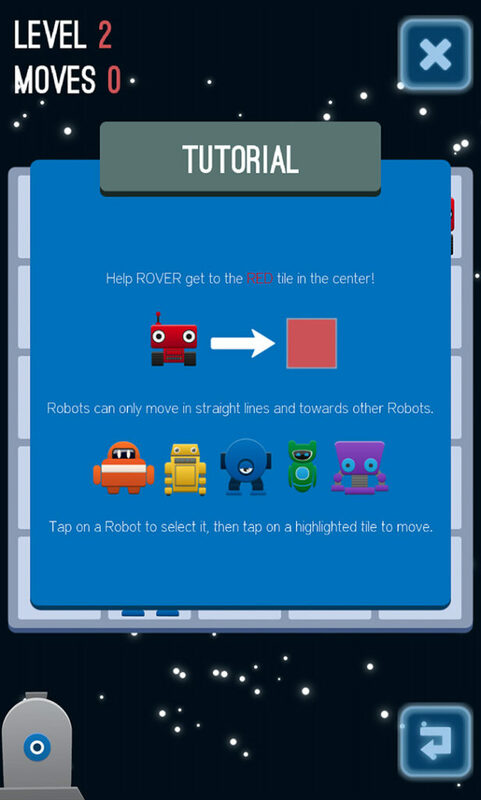 The objective is simple: get Rover to the Red tile in the center of the board. 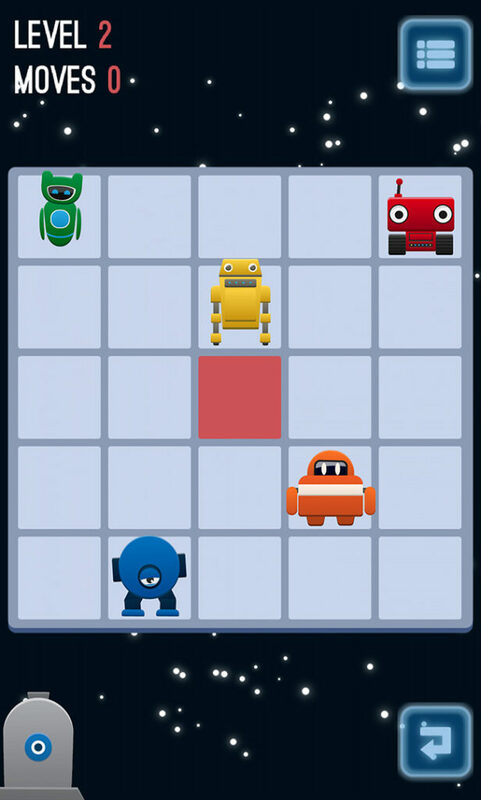 Guide the robots around so that he can reach his goal. 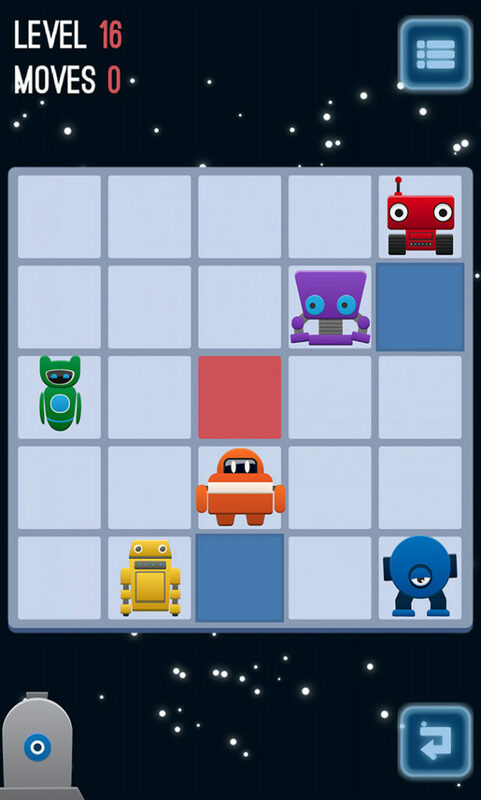 However, robots can only move in straight lines and toward other robots. 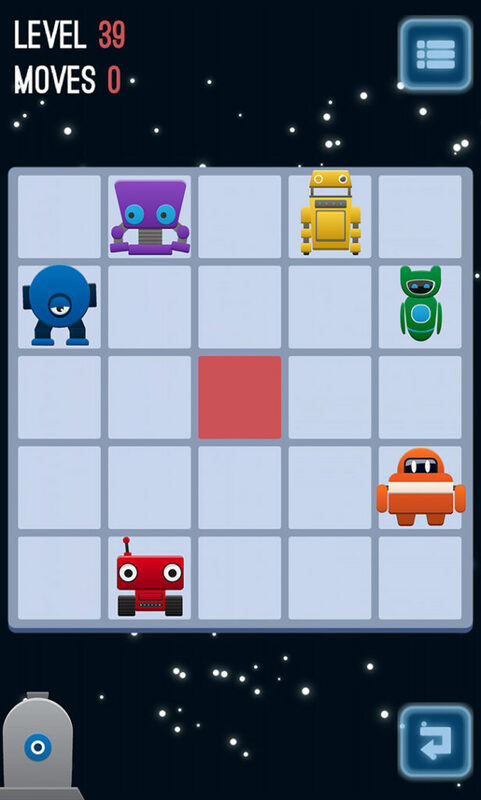 To get Rover to the center, you’ll have to use the other robots to direct a path for him.